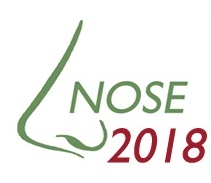 Odournet Molecular Odour Expert, Dr. Carmen Villatoro will be presenting at NOSE2018, 6th INTERNATIONAL CONFERENCE ON ENVIRONMENTAL ODOUR MONITORING & CONTROL 9-12 September, 2018 – Milan, Italy. GC-Olfactometry (GC-O) is the most powerful tool for characterization of odour compounds. This technique is widely used, especially in the sector of products and materials, and allows identifying the odour relevant compounds in the sample(s). GC-O data can also be used for quality control, development of value added products or to measure how efficient implemented modifications have been. This research describes case studies of the detection and identification of off notes in food samples such as tea, soy milk or chicken aroma production, and other products and materials such as polymers, packaging and cosmetics. The results obtained show a visual comparison of the aromatic profiles of samples, allowing clear conclusions to be drawn about products. In addition, chemical and sensory identifications of off notes are very important, as they allow acting directly on the product for example by changing the production chain or eliminating the raw material causing the undesirable odour. One of the cases shown in this study refers to the detection of off notes in food (ice cream) coming from the packaging. The use of low-quality recycled cardboard was responsible for the presence of volatile compounds such as aldehydes and sulphides. These compounds were responsible for generating fatty, aldehydic and garlic odour notes.